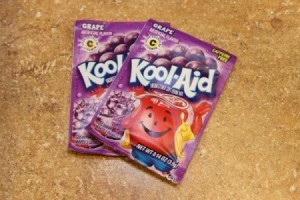 Using Kool-Aid is a cheap way to temporarily dye your hair with bright colors. This is a guide about using Kool-aid to color hair. 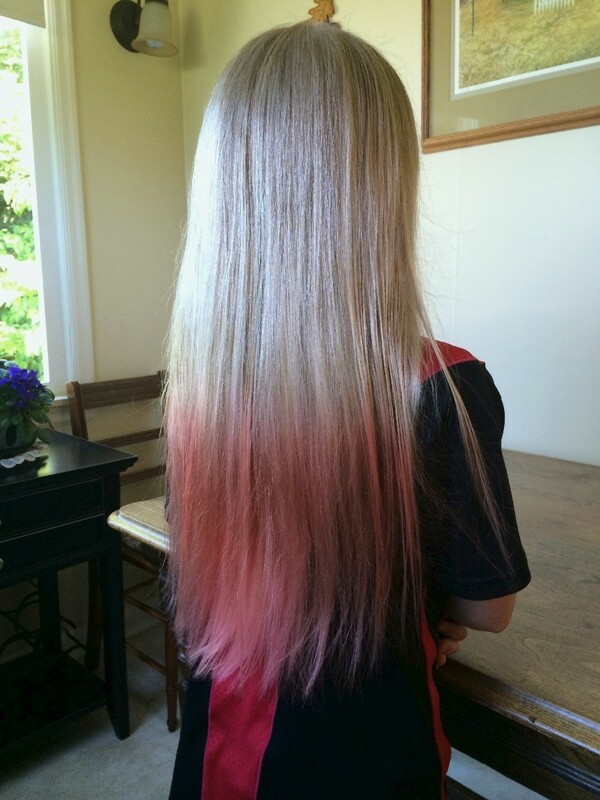 My daughter wanted to color the ends of her hair for the last week of school. 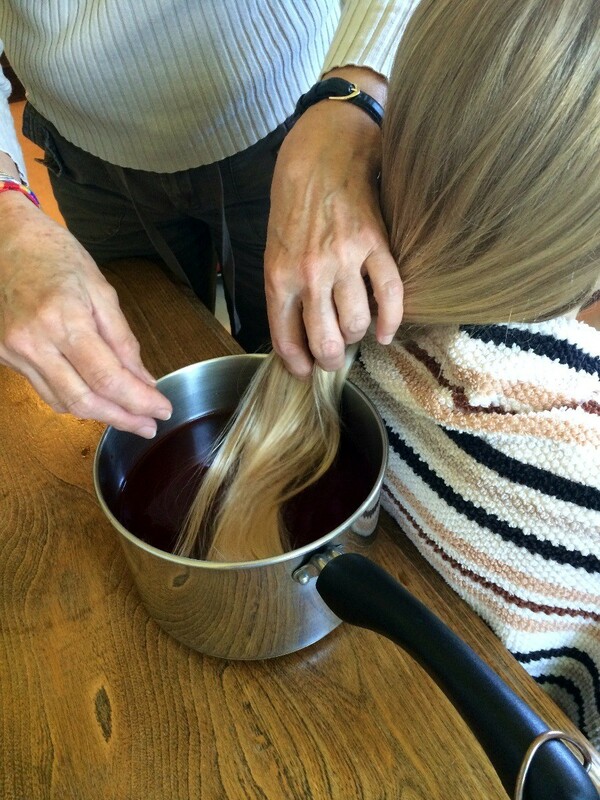 The Kool-aid created a very pretty ombre look! 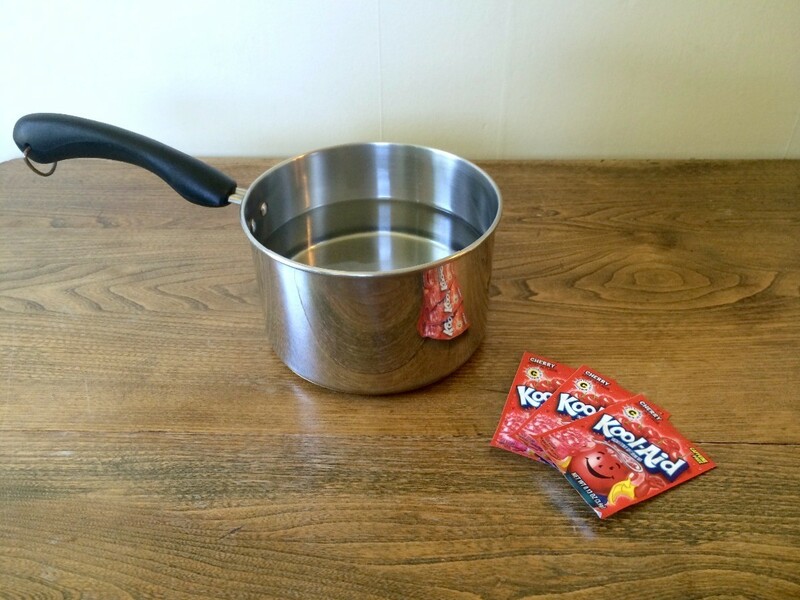 Put water in a pot or bowl. 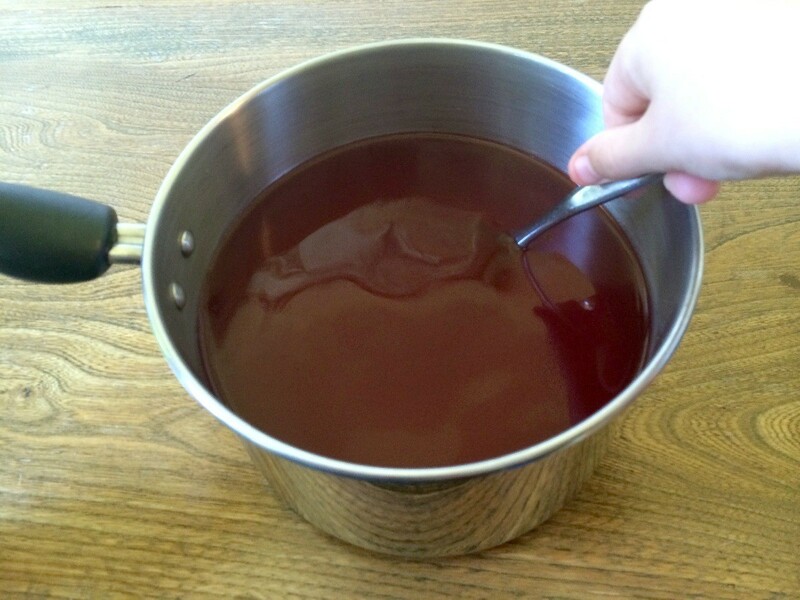 Add Kool-aid packets, stirring to combine well. Wrap towel around shoulders and sit on something that allows your hair to hang into the Kool-aid mixture. 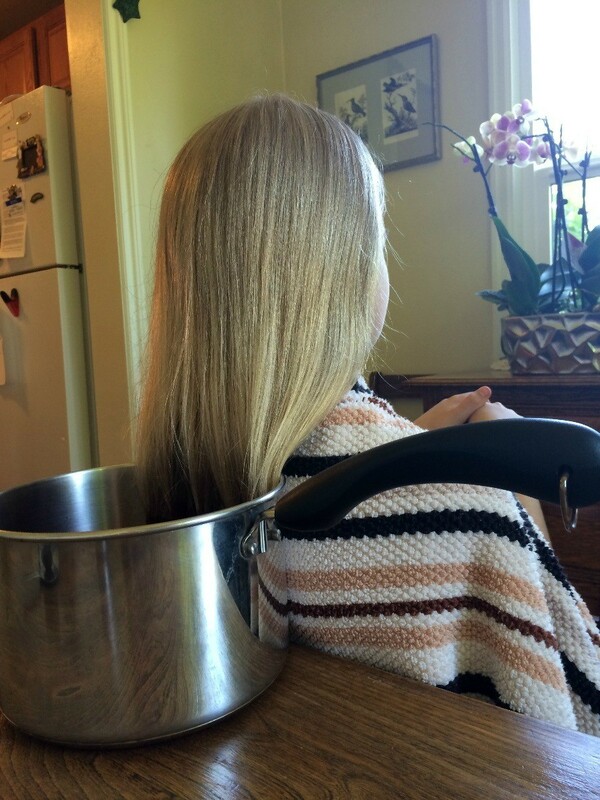 Put as much of your hair into the mixture as you want, and let sit for 45-60 minutes. The longer it soaks, the brighter the color will be. 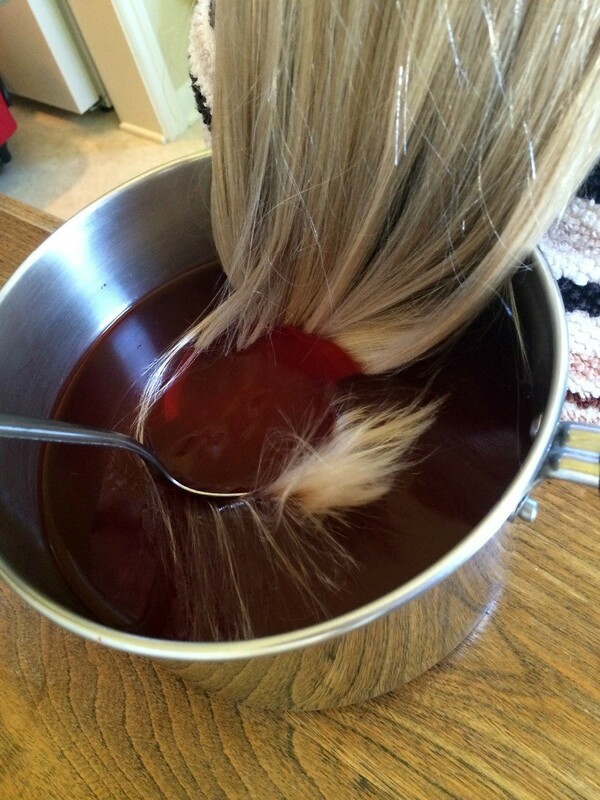 Squeeze out excess liquid, then rinse hair thoroughly. Continue rising until water runs clear. Then dry hair. 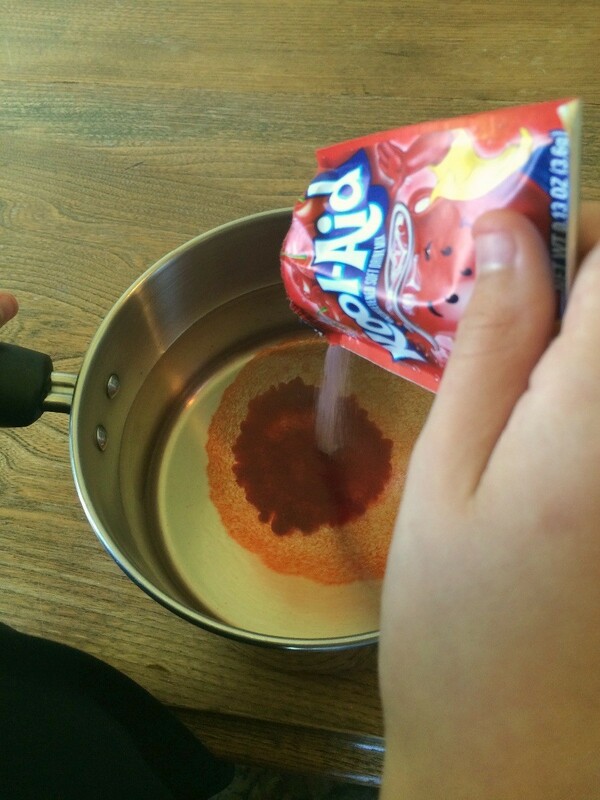 Using Kool-Aid to dye hair is a great way to get fun colors that wash out in a week or two (depending on the shade of your hair). Check out this video and see how it turned out.